President of the International Federation of Football Associations, Sepp Blater, on Saturday said the organization would give full support to three West African countries heavily hit by the Ebola Virus Disease. According to “Inside Games,” an online news provider, Blater made the pledge at FIFA headquarters in Zurich, Switzerland. The publication stated that the world football’s governing body said that the issue would be discussed and agreed upon at its next Finance Committee meeting which would hold in France on Sept. 25. It said that FIFA had decided to dip into its solidarity fund to help Guinea, Liberia and Sierra Leone, all impoverished countries in West Africa, whose citizens had been afflicted by the Ebola disease. “FIFA said that the additional financial support would be spent in solidarity with United Nations initiative on the fight against the epidemic. 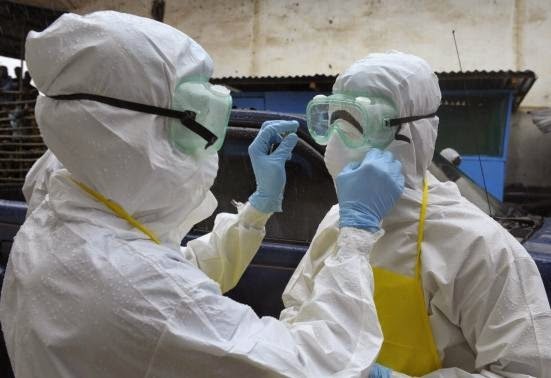 This announcement, the publication said, came as it emerged that the Antoinette Tubman Stadium in Monrovia, the Liberian capital, was to serve as the site for two large-scale Ebola treatment units. It stated that the stadium had been identified by the World Health Organisation (WHO) as the safest and most effective location for the units. It also said that FIFA would cover the costs of any damage to the Monrovia pitch that might be caused by the treatment units. The publication also quoted Wilfried Lemke, Special Adviser to the Secretary-General of the UN on Sport for Development and Peace as acknowledging that the Ebola outbreak also had tremendous impact on the sport community. “National authorities, the UN and the world of sport need to work closely together in order to halt the spread of the disease,” Lemke said. FIFA recalled that Nigeria, Sierra Leone and Liberia withdrew from the recent Youth Olympic Games in China because of the Ebola crisis.